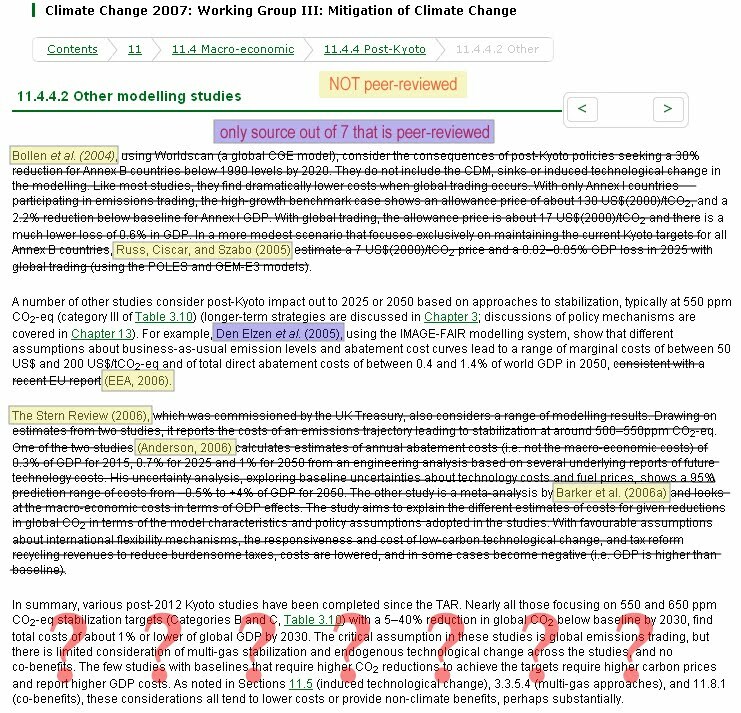 Does it matter that 1 in 3 sources cited by the climate bible aren’t peer-reviewed? Yes it does. Because once you strike out all the statements that don’t rest on peer-reviewed research there sometimes isn’t much left. Economist Richard Tol blogged about a particular section of the Intergovernmental Panel on Climate Change (IPCC) report in early March. 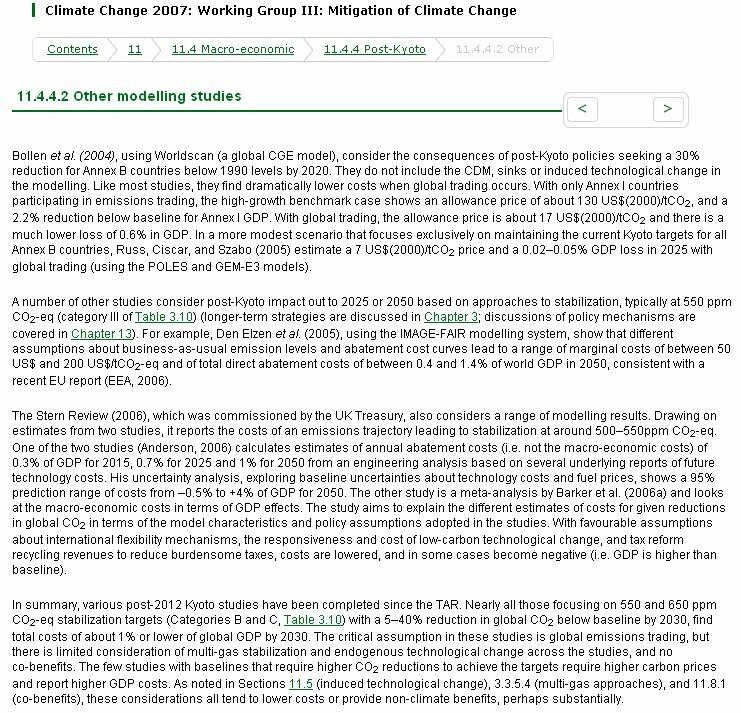 When I took a look for myself, I discovered seven studies in total being used to support the IPCC’s point-of-view on this page of the report. Altogether, the four paragraphs on the page amount to 593 words. But only 98 of those words – 17 percent – are backed up by peer-reviewed research. And remember, according to the IPCC chairman, Rajendra Pachauri, all other research deserves to be thrown into the dustbin (see the end of the linked article). This entry was posted on April 16, 2010 by Donna Laframboise in climate bible, IPCC, peer-review, Rajendra Pachauri and tagged climate bible, Intergovernmental Panel on Climate Change, IPCC, peer-review, Rajendra Pachauri, Richard Tol, Stern Review.